Remember when Sorbo walked tall? Here's the proof. 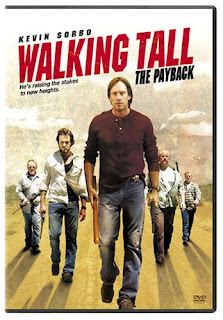 Walking Tall: The Payback is a very entertaining action flick. Nick Prescott (Sorbo) comes to clean up the violence and corruption infested town his family lives in after his dad dies in an "accident". It's time to break out the walkin' stick! 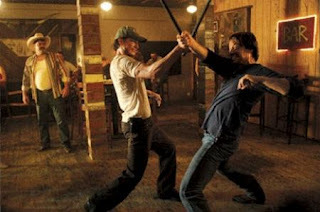 Kevin Sorbo does a really good job as the hero. 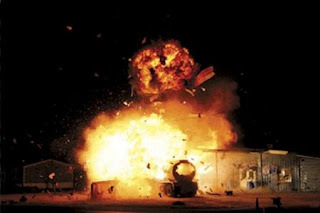 The stunts and action scenes are well-filmed and edited. A.J. Buckley is the villian you want dead in the first scene you see him. The only problem is that the middle lags a bit and that's not a big deal. I wonder how they're going to top this one when the Walking Tall 3 comes out later this year. Walking Tall: The Payback is way better than the last 4 Seagal flicks, and I definitely recommend it. Well, that's the problem we all have, VS, but this worth taking time out for.